Ruthless Obsidian Order officer. 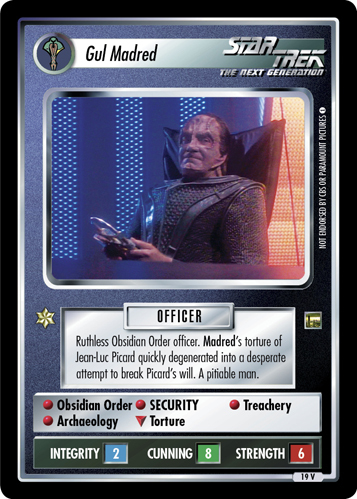 Madred's torture of Jean-Luc Picard quickly degenerated into a desperate attempt to break Picard's will. A pitiable man. Image Source: The Next Generation: "Chain of Command: Part Two"